Skip adding detergent to every load with the Load & Go™ system. The Load & Go™ cartridge holds enough detergent to wash up to 12 loads2 of laundry so you can simply fill it and forget it. Wash and dry tomorrow's outfit in the washer with this cycle. Featuring FanFresh® technology, it automatically activates a fan so you can get tomorrow's outfit or sports uniform ready without having to use the dryer. Keep clothes fresh for up to 12 hours after the wash cycle has ended. 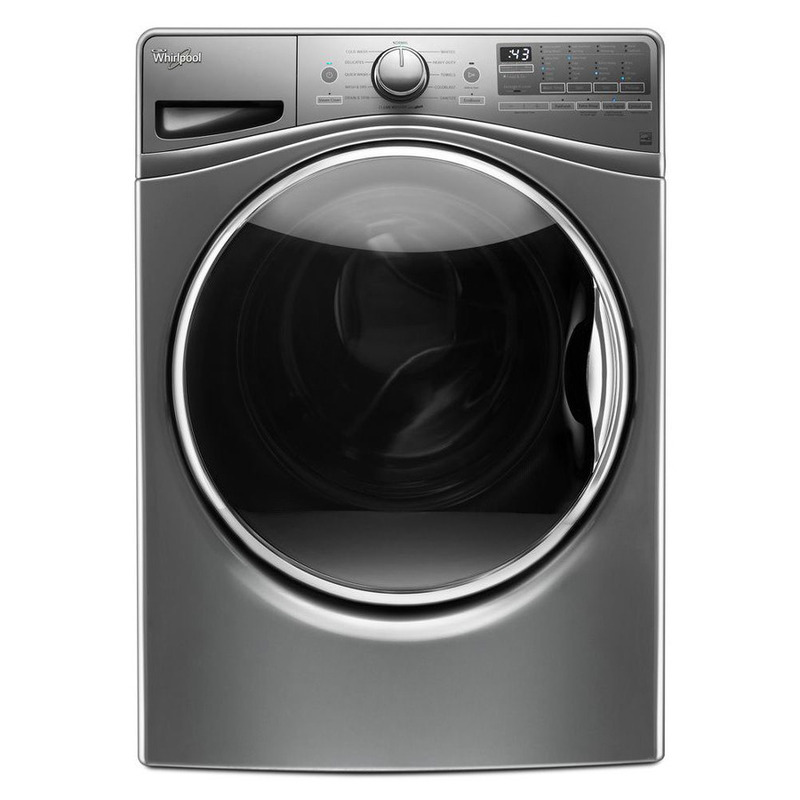 A built-in fan activates after the wash cycle is over, tumbling clothes for up to 12 hours so you can finish laundry when you're ready. ColorLast™ Cycle - Keep colors vibrant longer4 with this cycle that adjusts wash actions and wash time while using gentle temperatures for optimal fabric care. Precision Dispense - This feature automatically provides well-balanced cleaning by releasing detergent at the correct time to mix with water, penetrate fabrics and deliver optimal fabric care. Presoak Option - You won't have to spend time soaking clothes in the sink with the Presoak option that soaks clothes right in the washer5 , helping to remove stains, and then starting the wash cycle automatically. Steam Clean Option - This option penetrates fabrics using increased wash action and heat for even more help in removing everyday stains. Adaptive Wash Technology - Keep clothes looking newer longer6 with technology that senses and adapts wash actions, time and temperature.